Greetings! I've been documenting the new fun activities that I tried every month since March this year. In September, my new whirl was easy thanks to a few of my friends who invited me to meet them individually for lunch. We cook and eat meals at home most of the time so these lunches were nice opportunities to try restaurants that are new to me or that I visit infrequently. I should mention that Toronto is a multicultural city and the wonderful restaurant choices reflect our diversity. On my first lunch date, my friend and I just walked into Penelope's, a Greek restaurant, without reservation. We got seated right away. My friend ordered grilled lamb chops while I tried the Grilled Atlantic Salmon. My grilled salmon was served with salad, rice pilaf, oven roasted potatoes, lemon, and oregano. I could have easily gone for the souvlakis, or moussaka, or dolmades (stuffed grape leaves) but I felt like having fish that day. The service was prompt and friendly. The lunch crowd was mainly business people. We were both satisfied with our meals and would come again. On my second lunch date, my friend reserved a table for the two of us at Scaddabush, an Italian restaurant. She ordered a gluten-free meal while I tried the Spaghetti Sorrentina with their Charity bread. My spaghetti was served with tomato sauce, basil, baby arugula, olive oil, cracked pepper, and a fresh mozzarella cheese ball at the top. The service was prompt and friendly. Both of our meals were tasty and came with big portions even though we ordered the Small portion. The next portion size is called Regular in the menu. We would come again to Scaddabush. On my third lunch date, my friend and I went to Pai, a Thai restaurant, without reservation. This place is much bigger inside than what it looks like from the outside. I arrived first and got a table for two right away. Within ten minutes all other tables were taken so Pai is a popular place. The atmosphere was casual with loud music in the background so we needed to speak louder than normal. I ordered Chef Nuit Pad Thai with mild level of spice, while my friend had the Green Curry dish which he thought was amazing. My Pad Thai included stir fried rice noodles, house-made tamarind sauce, bean sprouts, tofu, egg, chives, Thai coriander, fresh lime, home roasted peanuts, and my choice of shrimps. It was delicious. We both agreed that we would return here for Thai food. My fourth lunch date was at Il Fornello, an Italian restaurant where my friend and I had a nice table by the window with street view. We each ordered a two-course lunch prix-fixe. Mine was Pizzetta Pollo "BBQ", a mini pizza with Pomodoro sauce, mozzarella, slow-roasted chicken, chipotle BBQ sauce, roasted red pepper, charred red onions, and a small mixed green salad. I forgot to take a photo before eating my meal. Both of us enjoyed the food but the waitress was rushing my friend unnecessarily so her service could be improved. My fifth and last lunch date in September was at Aroma Indian Cuisine, a restaurant that offers all-you-can-eat Northern Indian lunch buffet, and mild to hot à la carte options. My friend and I got a table right away just before the place filled up. We both went for the lunch buffet. I tried their Naan bread, butter chicken, tandoori chicken, veggies, beef, and Gulab jamun with ice cream for dessert. My friend is from Goa, western coast of India, and she said Aroma's food is very good. I agreed! I forgot to take photos of the buffet before the lunch crowd arrived so maybe next time. The service was good with frequent water refills at the tables and plenty of food at the food stations. We'd return for Indian food here. I'm grateful for good friends, good food, and fun conversations that made me happy in September. Do you like trying food from different cultures? Does your town or city have diverse cuisines? What's your favourite food? I'd love to hear your comments. Hello and welcome to another one of my favourite discovery walks in Paris, France! Some of you may have joined me in my previous 5K walk virtually and together we admired the major landmarks in Paris. Today, I'll take you from Notre-Dame cathedral, along the Left Bank of the river Seine, towards the Eiffel Tower. The river Seine at 777 km long (485 miles) is France's second longest river after the Loire. It flows right through the heart of Paris bordering 10 of the 20 arrondisements. In 1991, UNESCO listed the entire Parisian riverfront, from the Eiffel Tower to the end of the Île St Louis, as a World Heritage Site. The weather today is cloudy and wind is calm so it's very comfortable for walking and enjoying the scenery along the river. This walk can be done in the morning if you'd like to see the Eiffel Tower and other buildings at daylight, or in the late afternoon to end it in time to see the Eiffel Tower lit up in the evening. It will be a memorable sight! Or, if you're like me, I start out in the morning and keep wandering, with a few short breaks, until the evening. First thing first, how do you know you're on the Left Bank of the river Seine? My tip is when you face the river flow downstream (or Downriver), the river bank on your left is the Left Bank, and on your right is the Right Bank. You can look at the water flow or a leaf or debris and see which way it's floating. Do not look at the boats as they go upstream as well. Second, on this riverfront walk, I'll share my photos of the ten bridges along the river Seine, from Pont St Michel to Pont de l'Alma. Pont in French means bridge. I love their unique designs and the history behind each bridge. Needless to say, there are numerous beautiful buildings along the Seine. To keep this post to a reasonable length, I'll focus on the bridge photos and keep the number of other photos to a minimum. Let's start! 1. Pont St Michel - Constructed under the reign of Napoleon III, the present 62 meter-long Pont St Michel opened in 1857. It links Place St Michel on the Left Bank to the Île de la Cité. Note the initial N in the bridge design. We'll head downstream from here. 2. Pont Neuf - Constructed from 1578 to 1607, Pont Neuf is the oldest standing bridge across the Seine in Paris. It is composed of two separate spans, one of five arches joining the Left Bank to the Île de la Cité as shown in my photo below, and another of seven joining the island to the Right Bank. In nice weather, the little island is a wonderful place to hang out, sunbathe, or watch boats. 3. Pont des Arts - This bridge differs from many other bridges in that it is constructed of metal and is entirely pedestrian. It links Place de l'Institut on the left bank to the Louvre Museum on the right bank. The view all around this bridge is stunning. In good weather, people come here to picnic and hang out. Below the bridge, on the left and right quays, you'll see joggers, cyclists, strollers, and sunbathers as part of the pedestrian bank has been designated the 'Paris Beach' in the summer. 4. Pont du Carrousel - Named by king Louis-Phillipe in 1834, this bridge links Quai Voltaire on the left bank to Quai des Tuileries on the right bank, near the Arc de Triomphe du Carrousel in front of the Tuileries. 5. Pont Royal - Constructed from 1685 to 1689, Pont Royal is the third oldest bridge in Paris, after the Pont Neuf and the Pont Marie. It links St Germain area on the left bank, to Jardin du Carrousel on the right bank. 6. Passerelle Léopold-Sédar-Senghor, formerly known as Pont de Solférino, is a footbridge over the river Seine, linking Musée d'Orsay on the left bank and the Jardin des Tuileries on the right bank. 7. Pont de la Concorde -Constructed from 1787 to 1791, Pont de la Concorde is an arch bridge, linking the Quai d'Orsay on the left bank and the Quai des Tuileries at the Place de la Concorde on the right bank. From this bridge, looking towards the Right Bank, we see the Obélisque at Place de la Concorde and the Sacré-Coeur Basilica in the distance. 8. Pont Alexandre III looks like the most ornate and extravagant bridge in Paris, connecting the Champs-Elysées quarter with those of the Invalides and the Eiffel Tower. Four gilt-bronze statues watch over the bridge and numerous sculptures feature prominently on the bridge. 9. Pont des Invalides - The current structure was opened in 1855. It is the lowest bridge across the Seine, adorned with sculptures in the Land Victory theme (upriver) and the Maritime Victory (downriver). 10. Pont de l'Alma - Inaugurated by Napoleon III in 1856, Pont de l'Alma is a road bridge, linking Place de la Resistance on the left bank with Place de l'Alma on the right bank. From this bridge, we get a good view of the Eiffel Tower. The river Seine is a busy waterway. We can take a guided boat tour or dinner cruise operated by Bateaux Mouches, or enjoy a boat ride on the Batobus (boat shuttle service). Personally, I prefer the batobus as it's quieter and with a pass, passengers can hop on hop off at the eight stations in the heart of Paris. Voilà, we've just finished our 5K walk along the river Seine in Paris. I love this type of discovery walk which combines fitness, arts, entertainment, social time, and travel along one of the World Heritage Sites. I hope you enjoy the walk as much as I do. Bridges connect one bank of the river to another, and as we do our virtual walk together, it's natural to have conversations. So let's chat. I'd love to hear your comments. Greetings and happy Friday! Today we still have our last day of summer with high temperature around 27 Celsius (80F). The local garden centre was selling a lot of potted mums as shown above. Tomorrow, officially the first day of Autumn, our high temperature will be a cool 16 Celsius. So goodbye Summer and welcome Autumn! I'm looking forward to enjoying autumn colours in nature, pumpkins, less humid days, cooler nights, our Canadian Thanksgiving on October 8th this year, and the festive atmosphere around town in December. It's been a wonderful summer for me with lots of fun outdoor activities and some travelling to French-speaking cities. I'm happy to wrap up my summer fun list with all items ticked off. More importantly, each of the experiences enriched my life while their quantity and quality exceeded my expectations. Visited farmers' markets seven times, local parks or beaches almost daily. Gone to ten outdoor concerts. Viewed nine art exhibitions, not including arts seen during my travels. Enjoyed eight BBQ gatherings with my extended family in Toronto and Paris. Met up with friends in Quebec City in July as posted here. Celebrated my cousin's wedding in Paris, France in August - Yes, plus time to wander in Paris as posted here, and a side trip to Auvers-Sur-Oise still to be written up! This autumn I plan to enjoy a number of arts and entertainment events in the city, social time with my family and friends, and a trip to another country in Africa. I'm also looking forward to writing a guest post on another blog. I'm not telling what topic and on which blog just yet, to keep it as a nice surprise. My guest post is currently scheduled for October 18 so please stay tuned for further announcement. Meet up with my friends for coffee or lunch. Write a guest post for another blog in October. Take a trip to explore Morocco in November. I'll be providing monthly progress reports on my Autumn fun activities with the first report out on October 21. How was your 3rd quarter of 2018? What good things happened? What's your plan for the new season? I'd love to hear your comments. Greetings and welcome to my virtual discovery walk! Today I'll share with you one of my favourite 5 km walks (about 3.2 miles) in Paris, France, and introduce you to some of the iconic landmarks in the City of Love or City of Light. I have family in Paris and visit the city frequently, on average once every two years. I'm familiar with where many of the sights are and feel comfortable getting around Paris on my own either on foot or by riding the Metro and RER (regional trains). On each visit, I usually set aside time for nothing but wandering and exploring Paris. Today I'll start from the Eiffel Tower and end at the Notre-Dame Cathedral. I'll take a short ride on the Metro so you can get a feel for Paris subway system. On this walk we'll view the sights and save the sight visits for another time. Remember to click on the photos to enlarge them. 1. La Tour Eiffel (Eiffel Tower) - On this visit, it was partly sunny and I got a few shots of the Eiffel Tower with blue sky! Below is a photo of the Eiffel Tower from Pont d'Iéna. There is now plexiglass and concrete barriers at the base of the tower for security purposes so visitors must follow the snake-like path to enter the Eiffel Tower. On a previous visit, I climbed up to the first level of the tower and took the elevator to the top level. The view at each level was fantastic. 2. Palais de Chaillot and the fountains - Palais de Chaillot features two curved wings built around a paved courtyard for the 1937 World Expo. It's a museum and entertainment complex. I was happy to see the fountains working as they were not on during my previous visit in summer 2016. 3. Eiffel Tower from Palais de Chaillot - I'm convinced that Palais de Chaillot offers the best view in all of Paris of the Eiffel Tower across the river Seine, plus Parc du Champ de Mars behind it, and all the way to L'Ecole Militaire. 4. L'Arc de Triomphe - From Palais de Chaillot or Place du Trocadéro, we can either walk or hop on the Metro line 6 for three stops and get off at Charles de Gaulle-Etoile station. Follow the sign from the metro station to street level to see L'Arc de Triomphe in the centre of the Etoile (Star) roundabout. This is the world's largest triumphal arch and an internationally recognized symbol of France. The monument was commissioned in 1806 by Napoleon and was completed in 1836. On a previous visit to Paris, I climbed 50 meters up, via 284 steps, to reach the viewing platform on top of the arch. From there, you can see the dozen avenues. One of them is the famed Avenue des Champs Elysées. 5. Avenue des Champs Elysées - This avenue is fantastic for people-watching and it's just pure fun to browse the numerous stores, or to take a coffee break at one of the many eateries. Below is a view of the tree-lined avenue looking towards L'Arc de Triomphe. In the evening, it glitters with lights. 6. Obélisque at Place de la Concorde - Continue east along Avenue des Champs Elysées, we'll reach Place de la Concorde. This vast place was constructed between 1757 and 1777 to provide a home for a monument to Louis XV. The rose granite Obélisque de Louxor was a gift offered by Mehemet Ali, Viceroy of Egypt, to Charles X in 1829. Dating from the 13th century BC, the obelisk, which depicts the deeds of Ramses II, is effectively Paris' oldest monument. 7. Fountain at Place de la Concorde - Also at the vast Place de la Concorde there are huge and beautifully-designed fountains, like the one below. They're a welcoming sight on hot summer days as there is no shade at Place de la Concorde until we reach the Tuileries garden (Jardin des Tuileries). 8. Jardin des Tuileries - Catherine de Médicis, yearning for the public promenades of her native Italy, had the garden built in 1564. Since 1789, it has been one of Paris' most popular public spaces. Walking along the Tuileries, we see rows of trees, shrubs, flower plants, grassy areas, gravel walkways, occasional benches, and many statues. In the centre of the garden is the fountain where green metal chairs are available for resting or launching small rental toy boats. 9. Place du Carrousel- Walking east from the Tuileries fountain, we'll reach Place du Carrousel and the Arc de Triomphe du Carrousel, built between 1806 and 1808. It serves as an entrance of honor at the Tuileries. 10. Palais du Louvre (Louvre Palace) - Exiting Place du Carousel, we'll see Palais du Louvre, the largest palace in Europe with Louvre Museum the largest museum in the western hemisphere. Visitors enter the museum via the glass and metal pyramid designed by I.M. Pei, or directly from the metro. On a previous visit, I was able to see some of the masterpieces in Louvre Museum such as Mona Lisa, the Winged Victory of Samothrace, and the Venus de Milo. 11. Île de la Cité - Leaving the Louvre Museum, we continue further east along the river Seine and cross Pont Neuf to reach Île de la Cité. The island, right in the heart of Paris, is where we'll find Sainte-Chapelle and Notre-Dame Cathedral. 12. Sainte-Chapelle - Completed in 1248, Sainte-Chapelle is a royal chapel in the French Gothic style. If you like stained glass art work, this chapel is a must-see. Arranged across 15 windows, each 15 meters high, the stunning stained glass panes depict 1,113 scenes from the Old and New Testaments. 13. Cathédral Notre-Dame de Paris - Begun in 1163 and completed in 1345, the cathedral façade features magnificently carved wooden portals called the Porte du Jugement (Door of Judgment). 14. Cathédral Notre-Dame de Paris portals - Check out the incredible details from top to bottom of the façade, and the rose window in the centre. The most significant features of the interior are the enormous stained-glass rose windows that dominate the north and south end of the transept. 15. Cathédral Notre-Dame de Paris spire and buttresses - Walk around the exterior of the cathedral to the park behind it for a good view of the spire and flying buttresses of the apse of Notre-Dame. The park offers a nice spot to rest and admire this remarkable architecture. 16. Cathédral Notre-Dame de Paris side view - To see Notre-Dame side view in its entirety, cross to the Left Bank of the river Seine. I'll pause here and take you on a separate virtual discovery walk along the Left Bank later. We've now finished our virtual 5 km walk. I hope you enjoy it. If the 5 km walk is too challenging, it can be broken down or reduced to a more manageable distance. There are also bus and Metro trains that you can take to get around. I didn't mention any break here although it's easily done at any time to enjoy French café and fresh baked goods while watching the world go by. We can also reverse the walk, to start from Notre-Dame cathedral and end at the Eiffel Tower. I think one of life's pleasures is to wander in Paris. The city is a photographer's dream and is beautiful no matter where you look. There are numerous neighbourhoods to explore such as Latin Quarter, St-Germain, Marais, Montmartre and the Sacré-Coeur, etc. and let's not forget the view from the river Seine so plan a longer stay or come again. Thank you for joining me today. I'd love to hear your thoughts. Greetings! 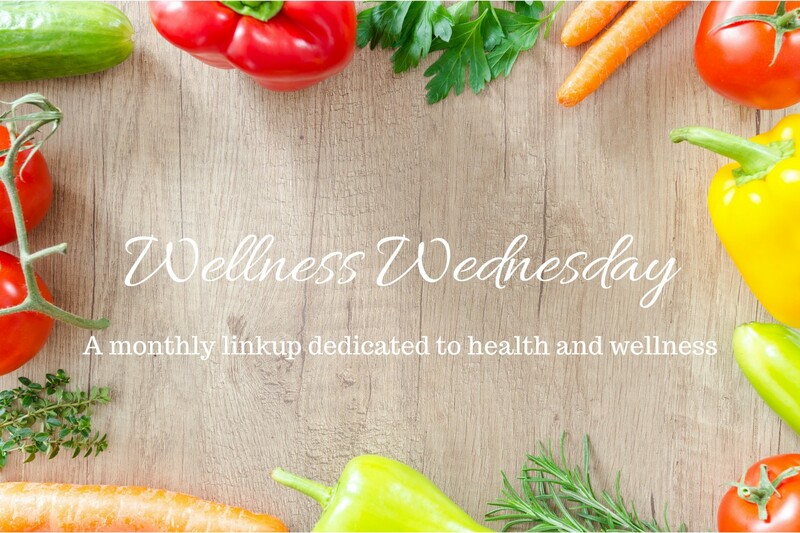 Welcome to our 9th Wellness Wednesday link up in 2018! Today I'm providing updates on my August wellness goals, setting goals for September, and linking up with a group of terrific bloggers who are also on the wellness adventure. Meditate 15 minutes daily - This is one activity that takes little of my time and keeps me centred so I make sure I do it daily. Combining it with deep abdominal breathing at night helps me fall asleep easily, too. Exercise one hour daily - I got all my exercises in while at home for the first three weeks of August. The last ten days of August I was in Paris without access to a gym. So I walked every day, took stairs (which were in every Metro station), ran in a nearby park, and did strengthening exercises using my body weight. The weather was great throughout my stay, except one afternoon with heavy rain. I was determined to keep up my fitness routine throughout August because I did not want to feel sluggish when I came home, and somehow the calories gained from enjoying French fresh baked goods, wine, champagne, and cheeses got to be deducted! Smile or laugh daily - This was easily achieved since August in a nutshell was a very social and happy month for me. I had a fun-filled time in Paris with my family. Work out in the gym three times a week, one hour each time (Mon/Wed/Fri). Practice yoga twice a week, one hour each time (Tues/Thurs). Swim one hour weekly (Saturday). Run 5K and do stretches one hour weekly (Sunday). The community pool that I use is re-opened after having been closed since the end of January so I was excited to resume my swimming starting on September 8. I like core strengthening exercises using my body weight such as planks, side planks, or superman. The planks look deceivingly easy but are challenging for me to do, and they are effective to build strong core muscles. My one-hour workouts at the gym typically include warm up, aerobic exercises to increase the heart rate, weight exercises, balance exercises, core strengthening exercises, and cool down. Your turn...How are you doing with your wellness goals? What is your favourite strengthening exercise? I'd love to hear your comments. Greetings! August seemed to have gone by in a flash. I was at home for the first three weeks then went to France. I had a fabulous time in Paris, so much fun and social eating that whatever I did at home before my trip became a blur. Fortunately, I did take some quick notes and can expand on them for this blog post. FITNESS - I got all my regular exercises in while at home, i.e. walking, gym, yoga, and 5K run. This was a preemptive strike as I knew I'd be eating a lot more on my trip to France. During my stay in Paris, I didn't have access to a gym so I did more walking, taking stairs, using my body weight, yoga, and running at a nearby park. 3 outdoor music performances by Amai Kuda & Y Josephine, Rufus John, and Ryan McNally. ARTS - In August, I checked out a new art exhibit titled Alternate Perspectives in Toronto. While in France, I visited the village Auvers-Sur-Oise where Vincent Van Gogh painted seventy eight pictures. I also did plenty of walking in Paris to enjoy the city's beautiful architecture. SOCIAL - August was a really social and happy month for me. I had one family BBQ gathering, one family outing with bike rides on Centre Island, five coffee dates, and one lunch date with my friends in Toronto. While in Paris, my relatives either took me out or organized family meals with a lot of delicious food. My cousin's wedding was beautiful. The weather was perfect on her big day. The wedding reception started with champagne, wine, or beer, assorted appetizers, followed by a sit-down, multi-course dinner, before a cheese buffet and a dessert buffet. We're a fun-loving and humourous bunch so there was constant chatting and laughing. While I enjoyed social time in real life, I only wrote five posts on my blog in August, the lowest number of posts per month this year. Ah, something got to give! TRAVEL - I had a fabulous time in Paris, France and plan to write in more details with photos once I sort them out. I re-visited the iconic sights in Paris like the Eiffel Tower, Notre Dame, and more. We took a side trip to Auvers-sur-Oise which I mentioned here. Overall, August was an excellent month for me. I look forward to enjoying the rest of the summer. It looks like I'm checking off all items on my summer fun list. How was August for you? What good things happened? I'd love to hear your comments. Greetings! I just returned from my fabulous trip to France and am catching up with life at home. Today's brief post is about two new experiences that I had in August: Visiting the village of Auvers-Sur-Oise in France, and eating the Cambodian beef lok lak dish. The lovely village of Auvers-Sur-Oise is located about 30 km from Paris. This village is where the famous painter Vincent Van Gogh (1853-1890) spent his last seventy days while boarding at the Auberge Ravoux. He painted seventy eight pictures here. The village is 7 km (about 4.5 miles) long, and is a real open air museum, with immortalized sites of the main pre-impressionists, impressionists, and post impressionists painters spread out through the whole village. I'm enclosing one photo below. A separate post to come with more details. This is a popular Cambodian dish served with cubed beef, rice, with or without egg, sliced tomatoes, cucumber, onion, and lime. We stopped for a late meal at an Asian restaurant on our way back from Auvers-Sur-Oise to Paris. My aunt's husband had lived in Cambodia and suggested that I tried this dish. The cubed beef was well marinated and sauteed. It was a very tasty meal that I'd certainly have again if I had the opportunity. I've documented my previous adventures in March, April, May, June, and July below. What new thing did you try in August? I'd love to hear your comments.